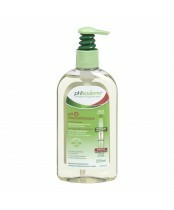 pHisoderm has a full line of skin care products that are all about pH balance. Every pHisoderm cleanser, toner and moisturizer is formulated to meet your skin’s unique needs. Use the pHisoderm line in a step-by-step routine or individually as needed. The products benefit any skin type, dry, oily, normal or combination skin – by returning your complexion to its ideal pH balance. pHisoderm has been around for over 40 years giving this brand a trusted heritage. From its beginnings as a line of cleansers, pHisoderm has evolved into a full line of skin care products that offer quality and high end ingredients at an affordable price.